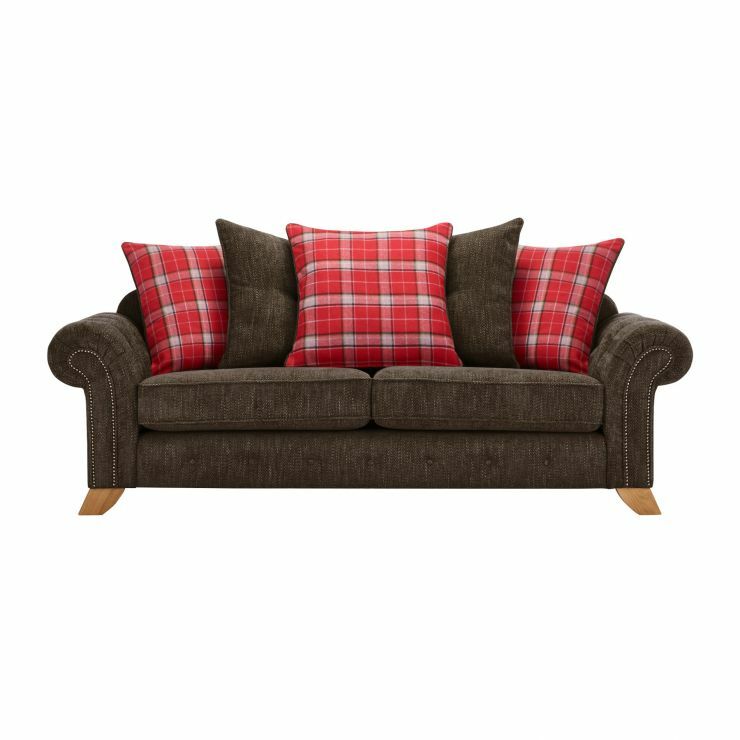 The Montana 3 seater pillow back sofa makes for a stunning focal point in any living room, with its classic shape and charming design. 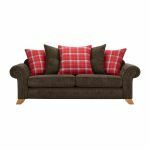 Button detailing on the scroll arms and sofa front creates a country-chic appeal, while subtle studs on the arm fronts give it a smart finish. Complete with fibre filled back cushions and no-plump seat cushions, it’s an inviting place to relax or socialise with friends and family. With real hardwood used to build the frame and feet, it has a sturdy and durable foundation that promises to maintain its quality feel over time. Welcoming, stylish, and irresistibly comfortable, it’s a perfect addition to any home. Check out the matching footstool and other pieces from the Montana Range to create a cohesive look.